April 18, 2018 (San Diego) - Poll workers, especially those who are bilingual in any one of six specific languages, are needed for the June 5 Gubernatorial Primary Election. The Registrar’s office is required by federal law to provide bilingual speakers and voting materials to voters who speak Spanish, Filipino, Vietnamese and Chinese. In addition, a survey conducted by the University of California, Berkeley showed a need for speakers of Arabic and Korean at just under 90 precincts across the county so the Registrar’s office is also recruiting poll workers who are bilingual in those languages. 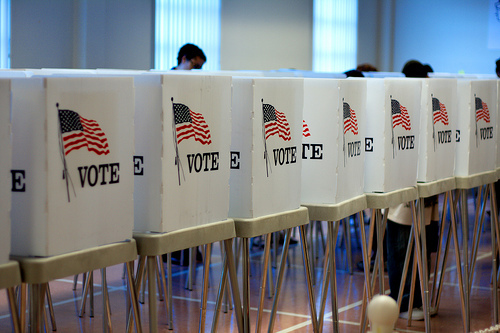 November 3, 2012 (San Diego) – Poll workers are still in demand for the Nov. 6 Presidential General Election. The Registrar of Voters needs a variety of positions filled. A high demand remains for bilingual workers especially those who speak Chinese and Vietnamese.